WELCOME TO DAVID LEROY PLUMBING! At David LeRoy Plumbing, we are not just your average plumbers. We are experts in all aspects of plumbing, heating and cooling installation, maintenance and repair, both for residential or commercial applications. We are proud to be a team of the best of the best in the industry! Our educated and experienced technicians are committed to providing exceptional service in every job they take on. In fact, our excellent technicians are one of the reasons that we have built such a positive reputation in the community. Paired with our state-of-the-art methods and dependable equipment, our team is unmatched in the high level of service that we are able to consistently provide for our customers. If you need any type of plumbing service in the Harrisburg area, our expert technicians can tackle everything, from drain cleaning to water heater maintenance anything in between. Employing the best technicians means that we can ensure a quality job and customer satisfaction, which are just two of our key priorities. 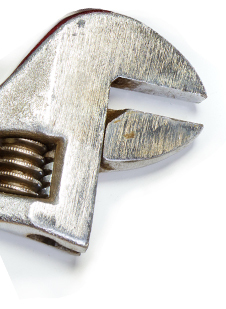 Need a plumbing repair in a hurry? We also offer emergency service 24 hours a day, 7 days a week, so you’ll never be left waiting unnecessarily. 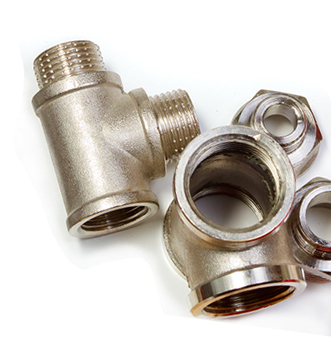 Let us show you why we are the best for all of your plumbing needs. 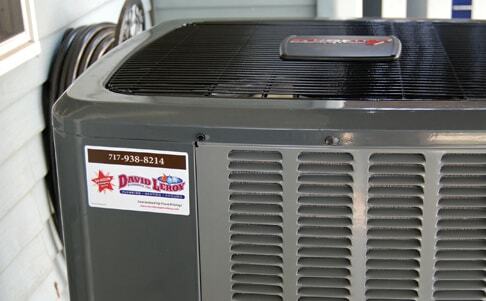 Whatever type of heating system you have, the experts at David LeRoy Plumbing have it covered. With an unrivaled knowledge and customer satisfaction reputation, we can confidently say that you’ll never get a better heating repair, installation, or maintenance service. A fleet of fully stocked service vehicles are available 24/7, and diagnosis or repair is usually very quick, hassle-free and affordable. Fully trained, licensed, and knowledgeable technicians are at the heart of our air conditioning repair, maintenance, and installation service. We understand air conditioning better than any other service company and we pride ourselves on industry, technology, and building code compliance knowledge. 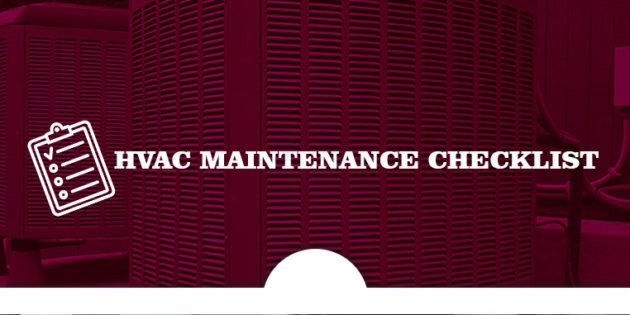 With a 24-hour emergency service, after-hours or weekends, we can ensure that you’ll never be without your air conditioning system for longer than necessary. 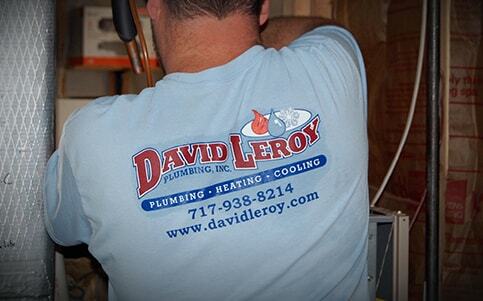 You can trust David LeRoy Plumbing to make your home a safer and more comfortable place. Contact us today if you need air conditioning or heating installation or repair. We’re here to help by offering free estimates, flat rate pricing, and 24/7 emergency service! Our plumbers serve the surrounding New Cumberland area including Harrisburg, York, Mechanicsburg, Camp Hill, Dover and Manchester. See the complete list of cities we serve. There are several tax credits that could help you do some of the plumbing, heating and air conditioning home improvement projects you have been delaying? Click here to learn about tax credits and rebates available to you. Is It Time to Replace or Repair My HVAC?